Gabriel: Who Could Bills Select at #22? I have gone over a bunch of scenarios for the Bills on who they may select if they move up from the number 12 pick or stay at 12. If they don’t use the number 22 selection as capitol for a trade up from 12 who is the likely selection? Obviously that is tough to come up with an answer unless we assume what they did at 12. For this discussion, let’s just assume that the Bills were able to draft a QB with their number 12 pick and that they still hold the number 22 pick. With a quarterback in hand and then figuring that middle linebacker is the next biggest need on this team the player the Bills could very well select in Boise linebacker Leighton Vander Esch. 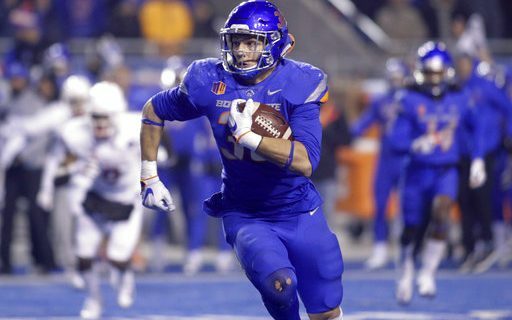 Vander Esch has been getting a lot of play of late and just this past Tuesday he hosted a number of top scouts and coaches at the Boise Pro Day. Vander Esch is one of bigger linebackers in the Draft, coming in at the Combine at 6’4″ & 256 pounds. He also ran a quick 4.65, had a 39.5” vertical jump and a 10’4” long jump. All are excellent numbers for the position. Leighton is a junior entering the Draft after he had such a productive 2017. He finished the year with 141 total tackles, 8.5 tackles for loss, 4.0 sacks and 2 interceptions. Looking at his strong points, he obviously has the size required and very good overall athletic ability. He also has the most coveted linebacker trait and that is top instincts. He is very quick to anticipate and almost never reacts late. When playing the run he shows strength and power at the point of attack, can get rid of blockers very quickly and easily moves through trash to get to the play. He is an excellent tackler and always takes good angles to the ball. In coverage, he shows that he can play either man or zone and he matches up very well with backs and tight ends. He has very good receiver awareness and his ball reactions and hands are excellent. On the negative side, Vender Esch really only has one full year of top production. He missed seven games in 2016 with an injury. In the six games in which he did play he played very well. What sets Vander Esch apart from other linebackers in this Draft are his instincts and ability to play with leverage. The only other linebacker who can match Vander Esch in comparing instincts is Georgia’s Roquon Smith, who I wrote about last week. There really isn’t a weak part of Leighton’s game and with his size, speed and athleticism he can be used in a variety of ways. He is scheme-versatile in that he can play in any NFL defensive scheme and be a productive player. In a 4-3 like the Bills use he can play Mike or Will but would be best off at Mike (middle linebacker). He is a plug and play type prospect who will be a day one starter and should have a very productive rookie year. The problem the Bills may have is does he get to number 22? Vander Esch is a player who is becoming a quite popular player for team selecting in the mid to late teens of the first round. 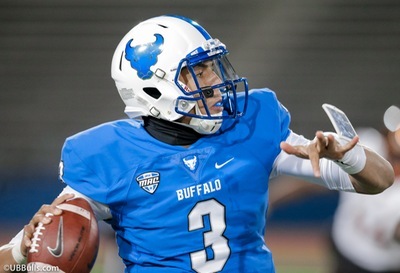 In fact if the Bills want to make sure they can draft him, they may have to trade up a few slots in order to assure themselves of getting him.